I love a good homemade soup. They are not only easy to make but when you make soup yourself you know exactly what has gone into making it. My favourite flavour combination for soup has to be the classic tomato and basil. This soup contains so much goodness and is full of delicious flavours. Top the soup with some cooked quinoa. 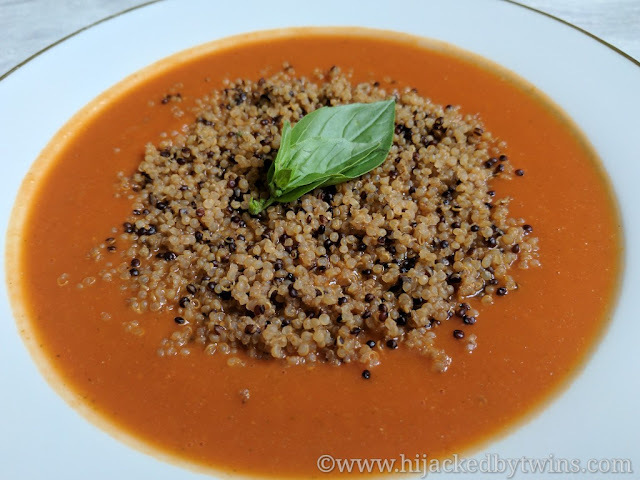 I used a pre cooked pouch of red and white quinoa from Merchant Gourmet. But you could add any grains that you would like or beans for added protein. 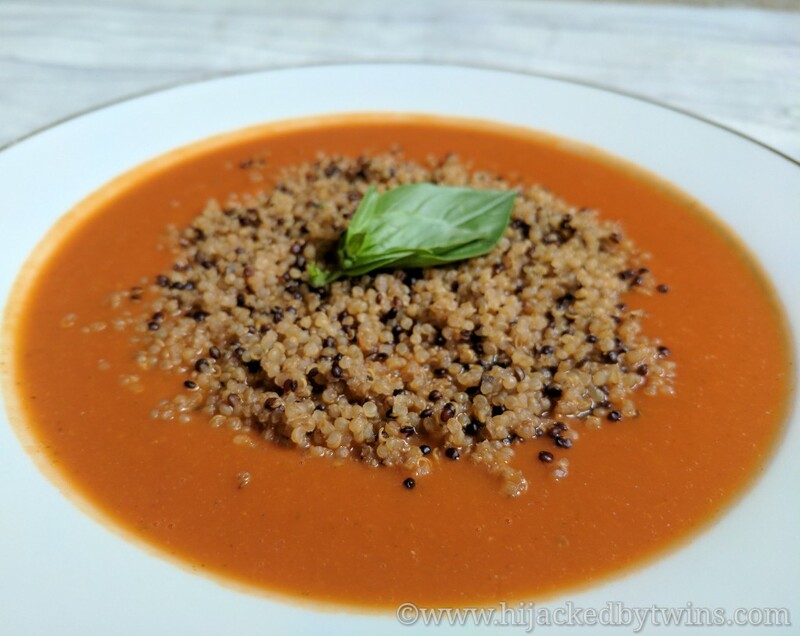 Tomato basil is one of my favorite soups :) Adding quinoa is such a great idea to add some protein! I love tomato and basil soup, and the addition is quinoa is great - makes it such a filling meal, doesn't it? Yours looks so yummy! 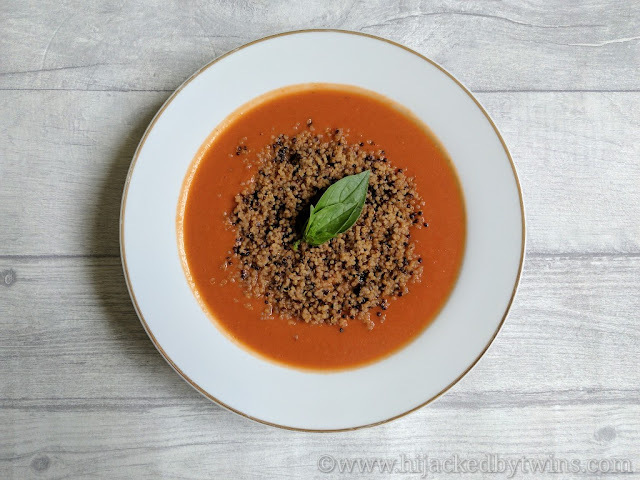 I think tomato and basil soup is one of my favourites - and topping it with some quinoa is a great idea - a lovely change for dunking a slice of bread in.